With several special holidays coming up, now is the chance to order your gift before it is too late. Easter is a great opportunity to capture photos with the kids, all dressed up in their “Sunday Best”. Why not take that opportunity and turn it into something imaginatively creative with a custom made board book to share with your little ones for years to come? Believe it or not, Father’s Day is our busiest holiday here at Hullabaloo Stories. Women seem to plan out their gift giving much more than men do. If they are anything like me, they wait until the last minute and it’s is either breakfast in bed or hand delivered flowers for the Mrs. on Mother’s Day. Perhaps, now is the perfect opportunity to begin dropping hints or sharing ideas about a custom made story to share with your children, made with the loving hands of a professional educator at Hullabaloo Stories. This way there won’t be a chance of waiting until the last minute to make your day and an extra special memory to cherish beyond Mother’s Day. 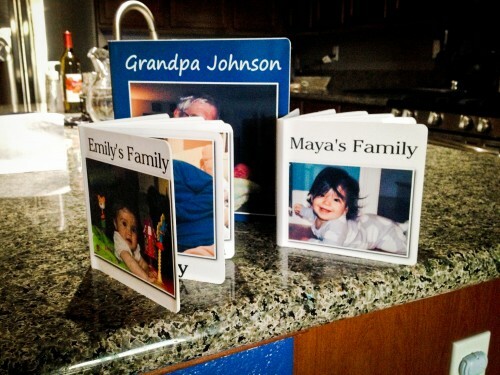 Check out some of our previous Father’s Day themed books, here. We hope the upcoming holidays are filled with laughter, fun, love and memories. Happy “Spring” holidays.